This fish is very well seasoned and has a nice taste to it. 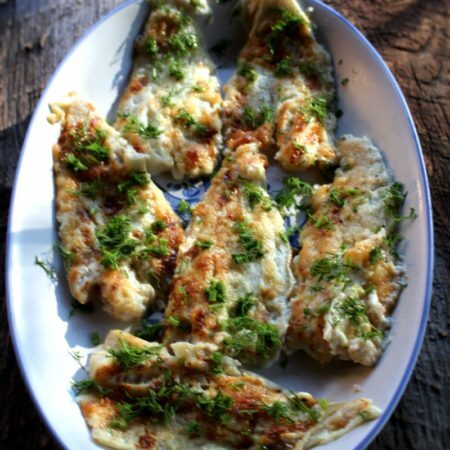 Its not very difficult to make and is a great recipe! 1.) In a bowl add your shredded onion, garlic salt, lemon pepper, and mayonnaise, then mix together well. 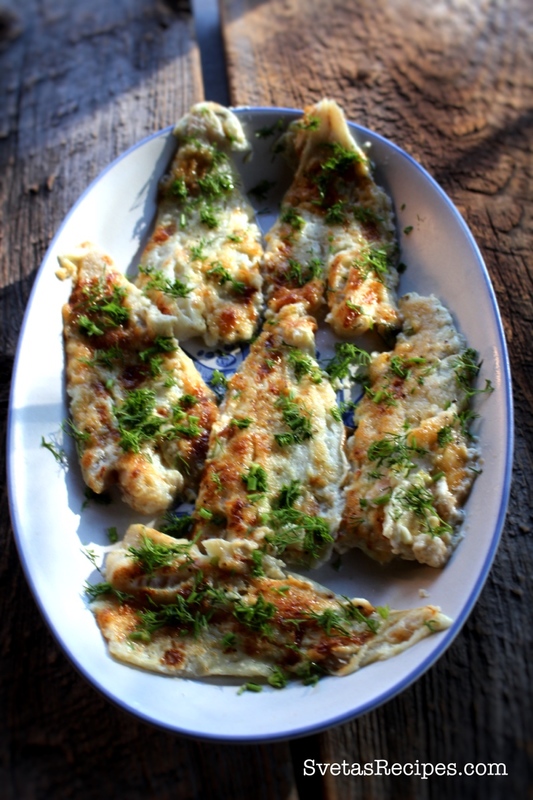 Place your fish on a baking sheet with parchment paper. 2.) 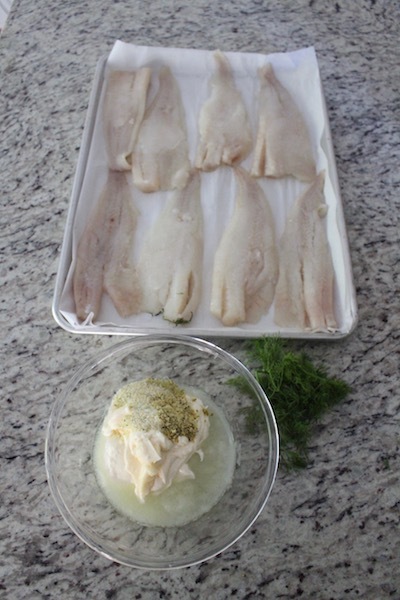 Add your mayonnaise mixture evenly on top of your fish. 3.) 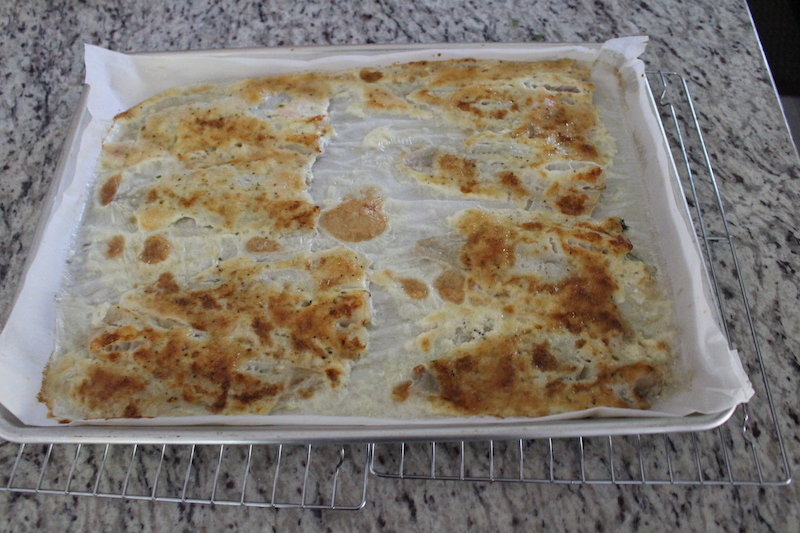 Bake for 25 minutes 350ºF, when done take out and let cool on a cooling rack. You can also add the dills on top for decoration. In a bowl add your shredded onion, garlic salt, lemon pepper, and mayonnaise, then mix together well. 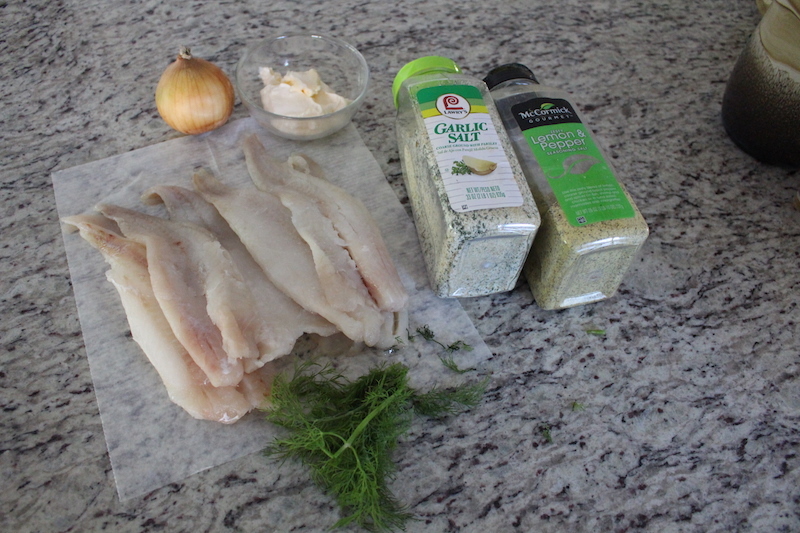 Place your fish on a baking sheet with parchment paper. 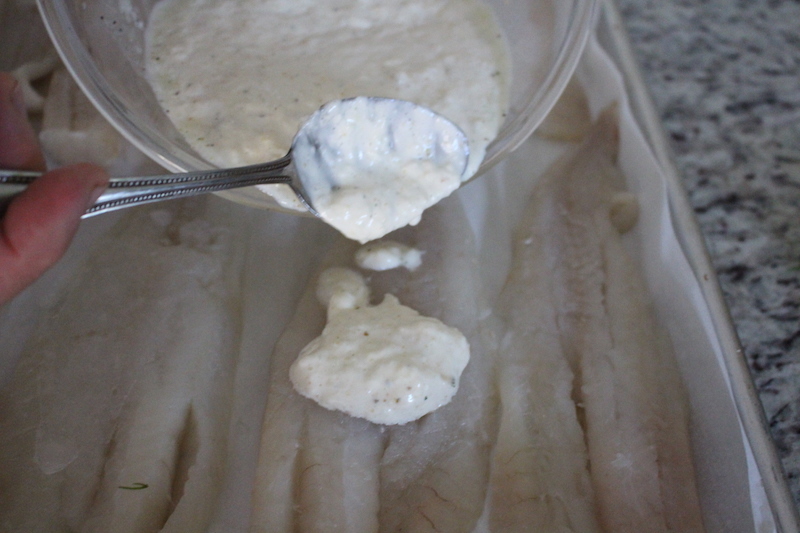 Add your mayonnaise mixture evenly on top of your fish. Bake for 25 minutes 350ºF, when done take out and let cool on a cooling rack. You can also add the dills on top for decoration.